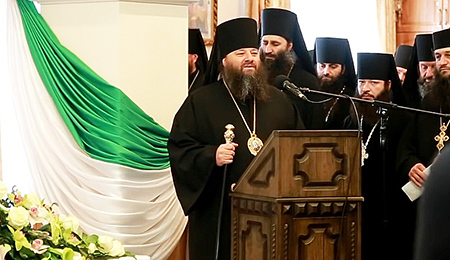 The news that Bishop Longinus of Bachna, Ukraine has returned into full communion with the Moscow Patriarchate and even accepted promotion to the rank of archbishop at the hands of Metropolitan Onuphrius of Kiev, is very sad. 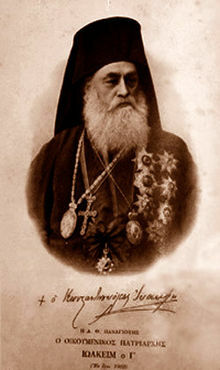 This is the monastic leader and gatherer of orphans who condemned the recent false Council of Crete (the one that was hoping to become the Eight Ecumenical), and anathematized the Latinizer Patriarch Cyril of Moscow. How are the mighty fallen! From robust, even inspiring confessor of the faith to the tame lapdog of the Putin-Gundiaev regime in the Kremlin! Why did he do it? We do not know and do not need to know. What we need to know is that Longinus’ surrender shows the unalterable truth of church history: that in order to confess the faith you have to go the whole way, not only breaking communion completely with the heretics, but also joining a True Orthodox bishop as soon as possible. 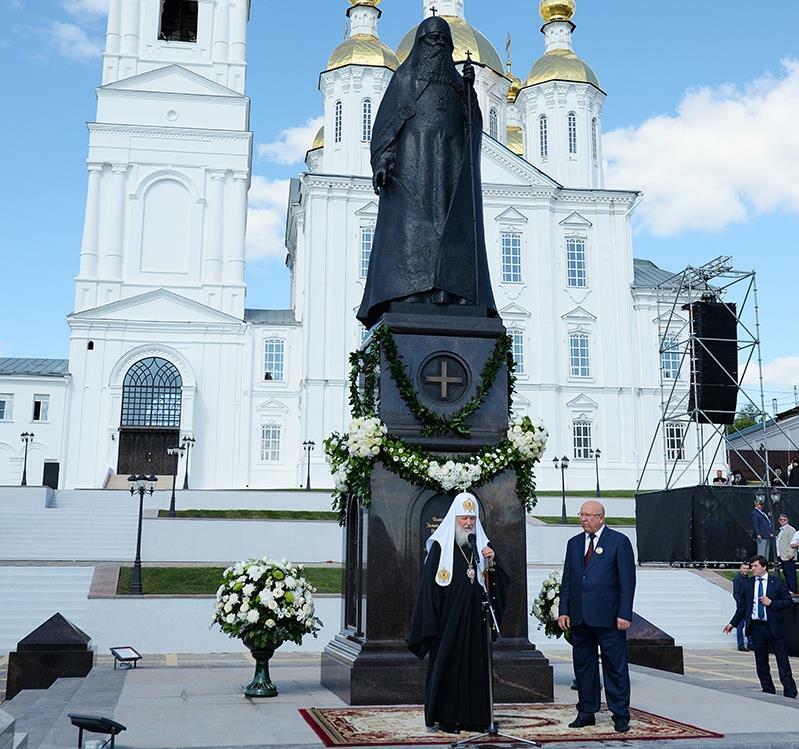 The contemporary non-commemorators have generated considerable momentum in the Orthodox East. The council of Crete seems to have wakened many from their dogmatic slumbers. But they all seem to be under the common illusion that the heresy of ecumenism has appeared for the first time in their (our) generation. They stubbornly ignore the fact that the True Church of Christ has been confessing the truth against ecumenism for nearly one hundred years, ever since the Patriarchate of Constantinople officially recognized the Catholics and Protestants to be co-heirs with the Orthodox in Christ in 1920, and introduced the new calendar as a necessary precondition of communion with the West in 1924. Some of them know something about the history of the Church in the last century; but none of them wish to follow the example of the martyrs and confessors of that period and join the True Orthodox Churches they belonged to. Instead, they have created new semi-churches that exist somewhere in the no-man’s land between True Orthodoxy and World Orthodoxy. And then, in the end, not having the spiritual strength to remain in that uncanonical situation, they eventually fall back into communion with “the church of the evil-doers”, fulfilling the word of the apostle: “It has happened to them according to the true proverb: ‘A dog returns to his own vomit’ and ‘a sow, having washed, to her wallowing in the mire’” (II Peter 2.22). With regard to the Russian Church, they also forget something else: that the ecumenist heresy, which the Russian Church espoused when it joined the World Council of Churches (under KGB pressure) in 1961, is only the fruit of a still deeper illness: sergianism, the sin of Judas, the sin of bowing down to the collective Antichrist of Sovietism. And that disease goes back to the time of Metropolitan Sergius – that is, to 1927. To escape ecumenism, but remain mired in sergianism, is to escape Scylla only to fall into the arms of Charybdis. The non-commemorator must understand that Baptismal grace will not magically descend upon his head when he walks out from under the golden cupolas of the Moscow Patriarchate for the last time. He must go on to humble his neck before a bishop or priest of the True Church (in spite of the fact that he most likely has no gold-covered cupolas), confess his sins before him, including the sin of having belonged to a heresy, and then receive the grace of baptism from him. Then, and only then, will he have the strength not only to confess the true faith, but also not to backslide into heresy. For, as the Lord says: “The just shall live by faith. But if anyone draws back, My soul has no pleasure in him” (Hebrews 10.38). The Transfiguration of our Lord, God and Saviour, Jesus Christ. “Лидер “непоминающих” патриархаКириллавозведенвархиепископы”, Ortodoksia, August 18, 2017, http://www.ortodoksiya.ru/index.php/60-avstraliya/464-lider-nepominayushchikh-patriarkha-kirilla-vozveden-v-arkhiepiskopy#.